There Xiaomi Poco F2 handset is on the way to launch in this year as another flagship-killer at an affordable price. The device will be the successor of the previous generation Xiaomi Poco F1. The Poco F1 still is a big hit and widely appreciated by the users and reviewers. 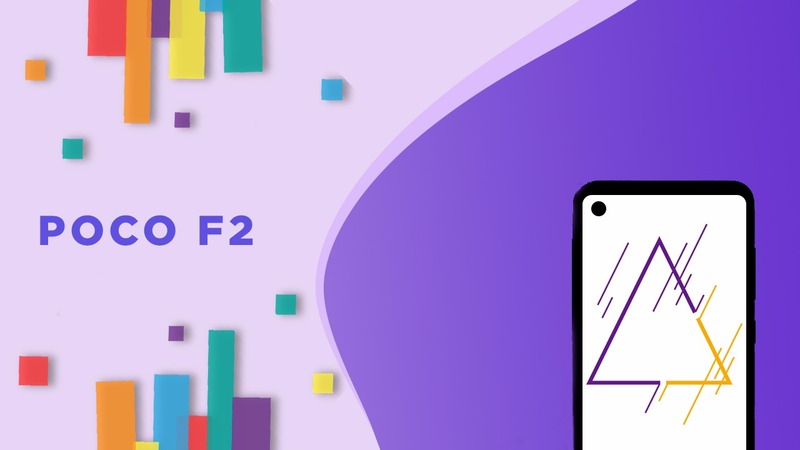 Due to the affordable upper mid-range price segment with great technical specifications, Poco F1 is considered to be the best smartphone under Rs.20,000 in India. Now, it’s time for the next generation model. There are so many leaks and renders coming out with a lot of expectations. So, here is the Xiaomi Poco F2: Expected Specifications, Release Date, and Price details in brief. The Poco F2 is expected to feature a huge 6.3-inch Full HD+ 1080×2340 pixels resolution, waterdrop notch with Corning Gorilla Glass protection. It should run on Android 9 Pie on the top of MIUI 10 or maybe MIUI 11 out-of-the-box. The device could be powered by octa-core Qualcomm Snapdragon 855 SoC coupled with Adreno 640 GPU, 6GB/8GB/10GB of RAM and 64GB/128GB/256GB of internal storage. The storage can be expandable up to 512GB via MicroSD card. There is no confirmation about the Poco F2 camera details. However, we can expect a dual rear 16MP+8MP AI sensor with a LED flash and a single 20MP AI selfie shooter on the front side. This time the front camera doesn’t have IR Face Recognition like the Poco F1. But the display form factor and aspect ratio will be higher. It should have connectivity options like 5G, 4G VoLTE Dual-SIM, Bluetooth 5.0 LE, GPS, Wi-Fi 802.11ac/a/b/g/n, GLONASS, IR Blaster, Qualcomm aptX audio etc. While the device is expected to come with all the major sensors as well. The handset will be packed with a 4,000 mAh battery along with the Qualcomm Fast Charge 4.0+ technology. The device will have a rear-mounted fingerprint sensor, USB Type-C port, and a 3.5mm headphone jack as well. The Xiaomi Poco F1 was launched back in 2018 in August. 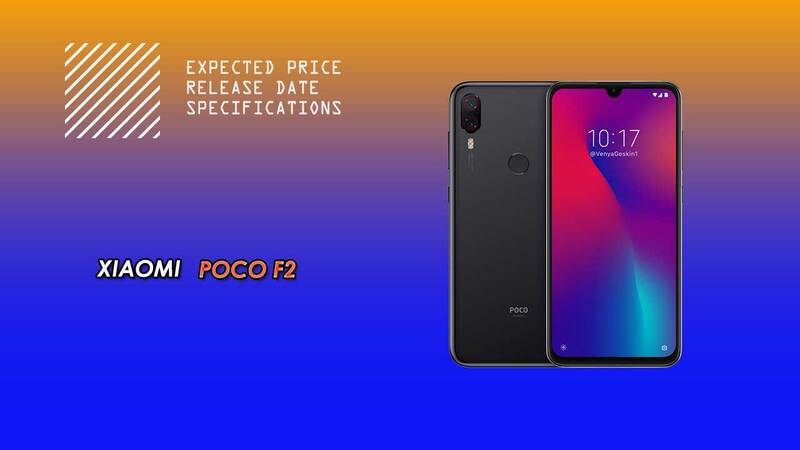 So, it’s quite expected to see the upcoming Poco F2 device this year in near between August-September month. However, there is no official confirmation made by the Xiaomi yet. However, the leaked reports and benchmark tests on AnTuTu and Geekbench, it will be launched within a few months for sure. Maybe Xiaomi will launch this device after the announcement of new MIUI 11 custom skin in China. So, the device could run on MIUI 11 preloaded. The expected price of the Xiaomi Poco F2 device could start from $300 (INR 21,000) approx based on the previous generation price segment. However, Xiaomi is really aggressive in their device specifications and price point. That’s why they’re still in the business in the Indian market competition. So, we can expect an affordable starting price for the 6GB RAM base variant. Still, we have to wait for some weeks or more to know better about the device. Till then stay tuned for info.